Rear-wheel drive in a compact design. Customize to meet your needs! Rehab seating, perfect for users who need a little more postural support and positioning. SureStep technology for driving over transitions up to 3" in height. The Pronto M94 with patent-pending Stability Lock technology that ensures the chair will remain stable over the toughest terrain. It has a 500 pound user weight capacity. The next generation of Total Driving eXperience. TDX SR built off the proven TDX SP platform. 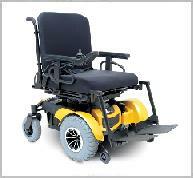 Entirely made in Canada, this new rear-wheel drive power wheelchair offers more flexibility, control and safety for the end user. Available in compact or full size, your choice of several options makes real customization possible. The Quickie S-646 and S-646 SE feature specialty systems such as the Quickie SmartSeat, PosiDrive Technology, Fox Shox® suspension and Qtronix electronics. The Quickie P-222 SE leads the pack when it comes to speed and styling. The performance is further enhanced with quality design features such as PosiDrive - our rock solid drive train system. 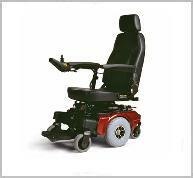 These features provide the strength to maximize the chair's life and performance. Description: The Xperience with a 250lb. weight capacity. Heavy-duty construction meets hard-core performance. Aggressive power, intuitive handling, and limitless possibilities. 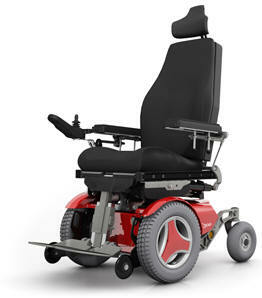 Compatible with an impressive array of electronics and seating and positioning systems. Rugged, performance inspired style, terrain commanding torque, and ultimate versatility. Powerful performance with enhanced torque and speed. 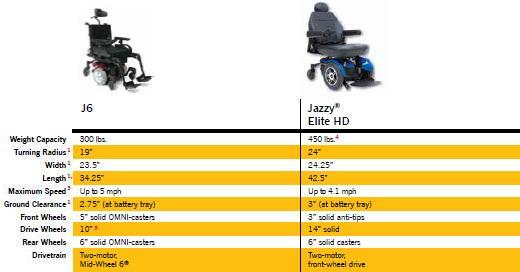 Description: A power wheelchair with exceptional performance and value. It has standard 4-pole motors and low seat-to-floor heights. compact in size for outstanding maneuverability. 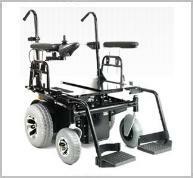 A compact rear-wheel power base with a rigid, high performance frame. 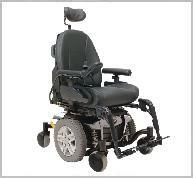 An Exceptionally Powerful Mid-Wheel Drive Power Base w/ Modular Gearing for Speed or High Torque. 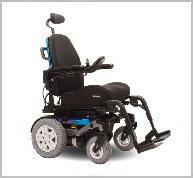 Description: A Shoprider 10 inch mid-wheel powerchair with full suspension. 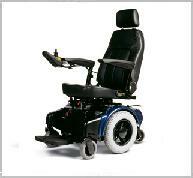 Description: A Shoprider 14 inch mid-wheel powerchair with full suspension.